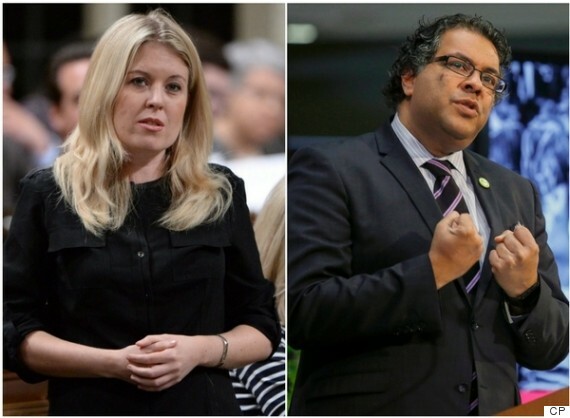 CALGARY — Two high-profile Calgary politicians have become embroiled in a heated social media spat with Conservative MP Michelle Rempel accusing Mayor Naheed Nenshi of making a sexist remark. It began on Sunday when Rempel and Nenshi sparred on Twitter over the impact of a property tax increase on suburban business owners. The disagreement escalated on Tuesday when Nenshi told reporters that Rempel was making hay out of an issue she doesn't understand. "I'm happy to have her wade in. I'm happy to have her help if she wants to help, but it's sort of helpful if she actually knows what she's talking about first,'' the mayor said. When pressed on what Rempel was confused about, Nenshi said: "She just didn't understand what was going on. Nenshi later retweeted someone who found past examples of the mayor making similar math-related remarks to Twitter users with male avatars. The argument dragged on late into the night. Rempel said no man would have to justify his math abilities and added that she's looking after the people she represents. "I'm so sorry for not kissing the purple ring on behalf of my constituents who you're putting out of business,'' she wrote. 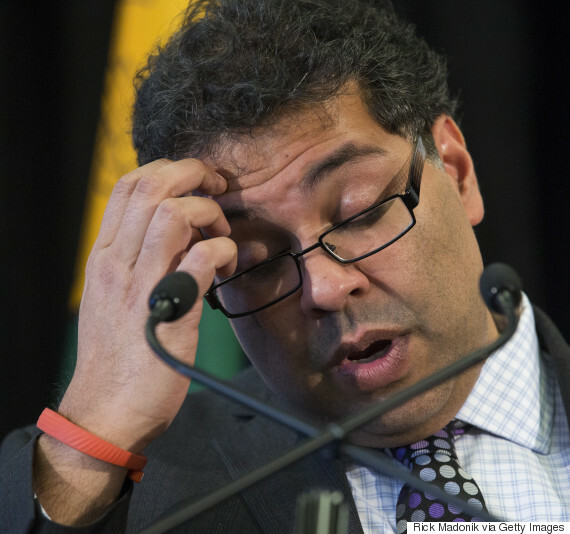 A statement released by Nenshi's office Wednesday showed no signs of the argument being resolved. "The mayor apologized immediately once he heard how his comment had been interpreted,'' it said. The spat evoked memories of an exchange during a 2015 Alberta election debate in which then-premier Jim Prentice made a remark to Rachel Notley about math being difficult. Kara Levis, a board member with the group Ask Her, said there was disrespect on both sides of the Rempel-Nenshi argument. Ask Her's goal is to encourage more women to get involved in Calgary municipal politics. Levis said she believes more diversity in politics generally would help elevate the discourse. "All politicians should take it upon themselves to ... be respectful and have an actual high-level debate,'' she said.
" Politicians used to talk respectfully to each other and disagree about policy issues, but they wouldn't attack each other." Levis was commenting on behalf of Ask Her, but she is also president of the National Women's Liberal Commission and worked on former TV journalist Nirmala Naidoo's campaign for a Liberal seat in Calgary in the 2015 federal election.